After Breakfast visit mysurepalaceThe Palace of Mysore is a historical palace in the city of Mysore in Karnataka, southern India.The Brindavana Garden,Chamundeshwari Temple,Mysore Zoo, Karanji Lake, Krishna Raja Sagara ... and Evening Return to the Hotel and overnight stay. 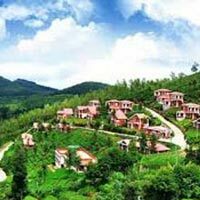 After breakfast check out from the hotel and we will Drive to Ooty , also known as Udhagamandalam, is a hill station in the state of Tamil Nadu, in southern India. 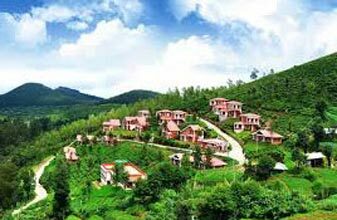 We Reach in Ooty And Check in to the hotel And relax Proceed For Ooty Local site seeing Doddabetta peak, Located about 10 kms from Ooty lies the Doddabetta peak, the highest point in the district, at 2,623 meters. The view from the top is spectacular! A 'Telescope house' run by the Tamil Nadu Tourism Development Corporation is situated here; a peak from it offers panoramic views of the surrounding hills, waterfalls etc.evening back to hotel over nigth stay at the hotel. After Break fast check out from the hotel and Drive to Kodaikanal. On arrival check in to the hotel, rest of the day at leisure. Overnight stay at Kodaikanal.